With the introduction of Qualcomm's Quick Charge, you can also refer it as Fast Charging or Rapid Charging. But they all mean the same thing. For fast charging, we need a fast charger that charges a compatible phone's battery at almost double the voltage a normal charger can provide. As a result, the battery gets charged really fast saving a lot of time. The good thing about Quick Charge is that if your fast charger is Qualcomm certified then you can use it to fast charge any compatible smartphone without needing to buy a separate adapter. Qualcomm certified fast chargers are quite expensive but if you are looking for ultra cheap fast charger then check out the Xiaomi standard adapter which only costs 449₹ Rupees. The Xiaomi standard fast charger is Qualcomm 3.0 certified and works with almost every android smartphone which supports the quick charge. So, in this post, we are going to review the Xiaomi MI fast charger with its pros and cons. 1. Build Quality: The charger's build quality is decent and it doesn't look cheap for the price of 449₹. It has got a single USB out port and the plug design may vary according to the country. But I have the Indian variant and UK variant will have a different plug design. The power adapter comes in a tiny white box. The USB cable is not supplied with it. 2. Output Voltage: The Xiaomi fast charger provides charging at three different voltages. The outputs are given below. ➜ 5V 3A: Can be used for almost any mobile phone that has a micro USB charging port. Don't worry about the 3A (ampere) high current as your phone will only draw necessary current. Suppose if your phone's requirement is 1A (ampere) then it can't draw 3A. So it is quite safe to charge any phone with MI charger. ➜ 9V 2A: This output will automatically get activated when you connect a Qualcomm certified phone. This is a fast charging output and will only work with a compatible phone. ➜ 12V 1.5A: Well this can be considered as a fast charging output but there is no phone available yet which supports this rating. This output can be used to charge lithium-ion batteries that have a 12V requirement. 3. Safety Feature: The MI fast charger is safe from overheating as its temperature won't go above 30 degrees Celcius. 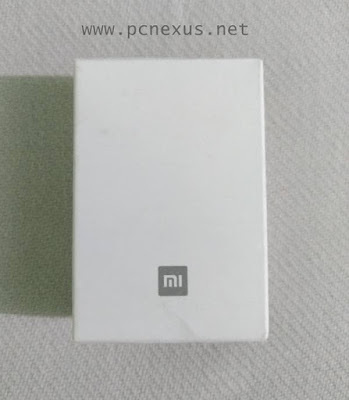 We used a Xiaomi MI Power Bank 2i 10000mAh and charged it with this adapter. It only took 4.2 hours to completely charge this power bank. So, it is quite fast for a 10000mAh power bank at just 449₹. And it is compatible with most Android smartphones. You can buy Xiaomi fast charger from the link below. Supports three types of DC output. 5V 3A, 9V 2A, and 12V 1.5A. Compatible with most Android, iPhones, and iPads. Comes with a safety feature and temperature remains controlled and doesn't go beyond 30-degree Celcius. 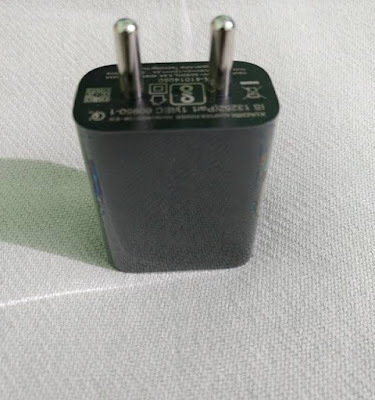 Cheapest Qualcomm 3.0 certified charger available for smartphones and power banks. So, if you are looking for a cheap and versatile fast charger which is Qualcomm certified then you can go for this. And if you liked the article then please share it.